In an age of growing DVR use (sometimes in order to skip commercials) and increasingly multi-tasking behavior (with mobile owners spending perhaps an estimated one-third of their ad viewing time looking at their devices), Avid and Ovum set out to ask TV audiences why they continue to watch TV ads. Based on an online survey [download page] of more than 3,000 consumers across the US, UK, Germany, and Brazil, the researchers found that viewer passivity appears to be a bigger factor than the ad creative itself. The best part of the Super Bowl was the Beyoncé half time show. 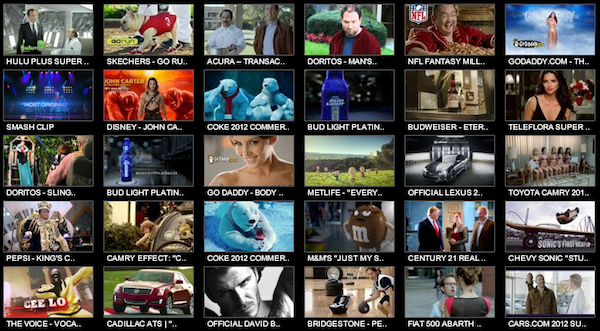 The second best part of the Super Bowl were the commercials. Here are our favorite tech ads, ranked from worst to best. Americans are using their cell phones to find new ways to engage with the TV shows they are watching. According to Pew Research Center, the most popular mobile activities while watching TV are fact-checking assertions and texting with friends about programs they’re watching. 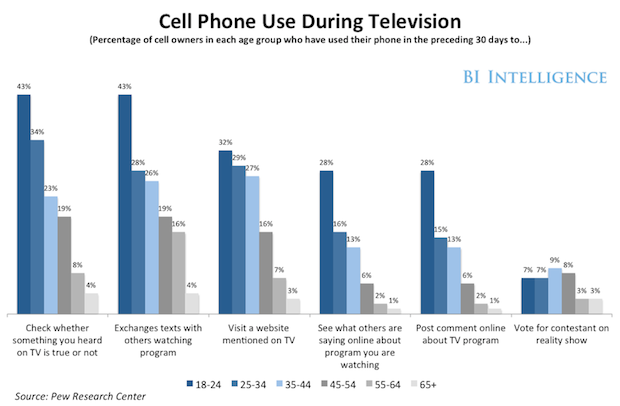 Pew found that 53 percent of U.S. cell owners are “connected viewers.” The survey includes all mobile users, which means means some activities are probably even more popular among smartphone owners. Networks may be disheartened to find that 38 percent of cell owners use their phones to “keep themselves occupied during commercials,” but the results also indicate consumers are using their phones to engage with programming in new and deeper ways.